This third edition of the standard text Countryside Conservation charts and evaluates those changes which represent a fundamental revolution in the ways in which the countryside is planned and managed. 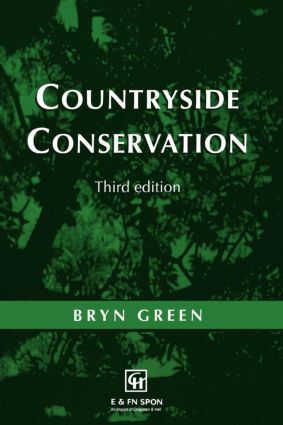 It sets out the principles, policies and practice which underlie the ecology, planning and management of the new countryside, discussing ways in which countryside conservation objectives are evolving and how they can best be achieved. Introduction: Protecting and exploiting the environment. Part One: Principles: ecological natural and cultural. Part Two: Policies: conservation strategies and structures. Part Three Practice: landscape restoration and management. Conclusions. Bibliography. Index.